Bingo Prices for Admission, Regular Bingo Game Sets, Progressive Bingo Games, Electronic Bingo, and Pull Tab Prices set by the Home and School Association sponsors of Bingo Wednesday Night KC at Finnigan’s Hall*. After Admission has been paid. Bingo Players can purchase additional Regular Bingo Game sets, Paper Specials, Progressive Game Sheets, or rent an Electronic Bingo Handset. Please Note that Bingo Game Sets must be Played by the Same Person. 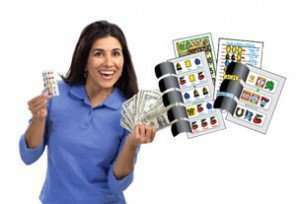 Prices for Special Papers are 2 sheets for $1.00 or they can be purchased for $0.50 a sheet. Progressive Bingo sheets are $2.00 per sheet. 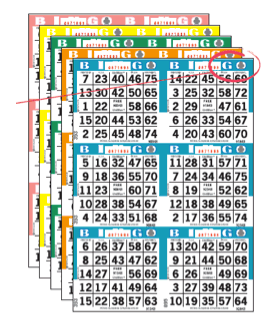 Progressive Game Sheets are not part of the Regular Bingo Game Sheets or Electronic Bingo Handsets. Bingo Daubers for Bingo Game Sheets range from $1.00 to $1.50. They are available at our Game Sheet Booth at Finnigan’s Hall. *Bingo Prices are subject to change without notice.